As one of the country’s main contributors to corporate social investment (CSI), Eskom took part in the 2017 Trialogue Business in Society Conference, held on 16 – 17 May, at The Wanderers in Johannesburg. Mr. Zethembe Khoza, non-executive member of the Eskom board of directors, attended and spoke on the organisation’s commitment to boosting economic development through enterprise development. As one of the sponsors, Eskom also showcased the work of the Eskom Development Foundation, which implements the organisation’s CSI programme. With 60 speakers exploring a wide range of topics, this year’s conference had three key focus areas; social licence to operate, ICT for development and enterprise development. The delegates enjoyed an array of insightful talks given by experts from government, public and private organisations. There were also various breakaway sessions to delve more deeply into some of the topics and to allow the delegates to engage further with topics of their interest. Khoza highlighted that while South African had undergone a significant social change in the last two decades, more work needed to be done particularly by organisations through their corporate social investment, to ensure South Africans had a better quality of life. “Government’s robust plan to enhance economic and social transformation is in the process of implementation. The plan promotes growth and development to eradicate unemployment, poverty, and inequality. Leaders of corporate enterprises can help to make this dream a reality,” Khoza said. He noted that Eskom has and continues to be involved in stimulating the small and medium enterprise (SME) sector, particularly black-owned, black-women-owned, and black-youth-owned companies, through its flagship CSI programmes. 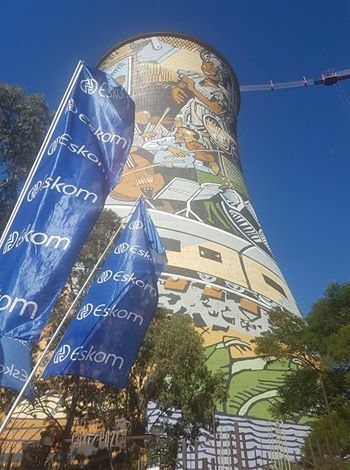 “One of our programmes, the annual Eskom Business Investment Competition (BIC), aims to recognise and reward small businesses that are contributing to the fight against unemployment and poverty in their local economies. We also have the Simama Ranta School Entrepreneurship Education Competition, which identifies and acknowledges South African secondary schools leading the way in entrepreneurship education. We believe that one of the best ways to curb underdevelopment is to teach and encourage the youth, at school level, to consider entrepreneurship as a viable career choice,” Khoza concluded. 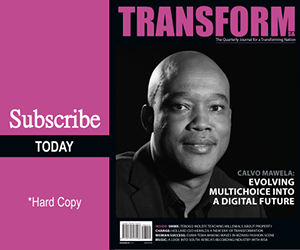 My name is Thabo Moloi,from the company called Eagle Trace Solution. we a tracking and a fleet management. We are rally interested in development programs that you offer. Please what can one do to be part of the program. Hi Thato, Eskom will be in a better position to assist you. Please check with the Eskom Foundation.